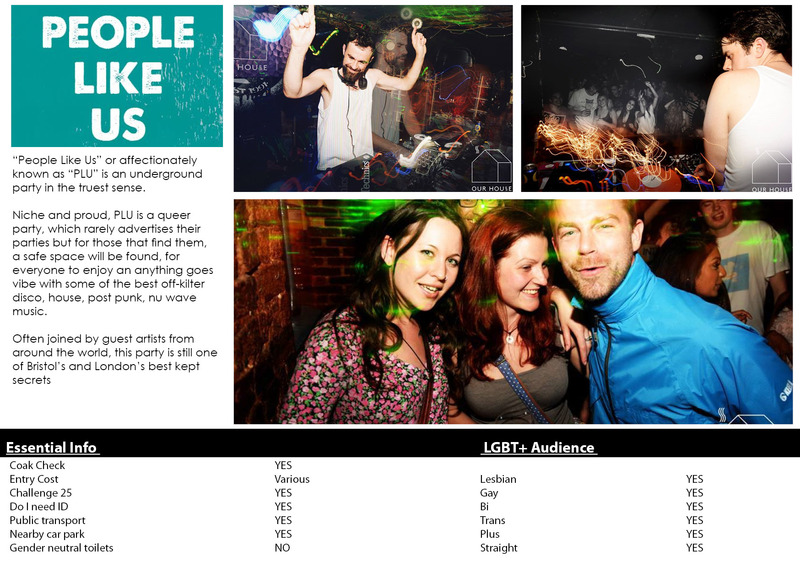 “People Like Us” or affectionately known as “PLU” is an underground party in the truest sense. Niche and proud, PLU is a queer party, which rarely advertises their parties but for those that find them, a safe space will be found, for everyone to enjoy an anything goes vibe with some of the best off-kilter disco, house, post punk, nu wave music. Often joined by guest artists from around the world, this party is still one of Bristol’s and London’s best kept secrets.